Hotels near Sierra Nevada! 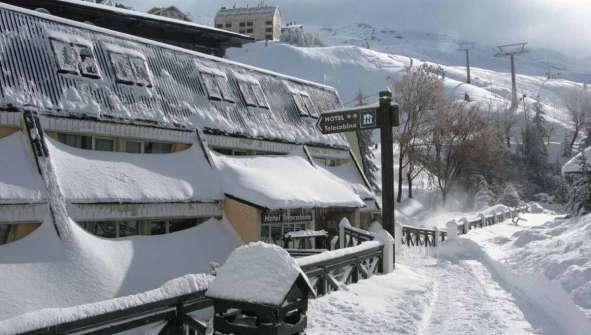 Are you looking for Hotels at Sierra Nevada? In Rusticae we exclusively selected the best boutique hotels in this area for the best prices. Visit Hotels, rural country houses or apartments. Enjoy our exclusive offers for Rusticae Hotels adn enjoy this area! When we think about Sierra Nevada we also think about one of the most famous ski resorts in Spain. But Sierra Nevada is much more than winter sports, because all along the year you can do hiking, mountaineering, rock climbing, paragliding, horse riding ... and enjoy its landscapes, dominated by high peaks such as Pico Veleta (3395.68 m), but also for terraces, oak, pine, chestnut or riparian forests, and observe the richness of its flora and fauna, and its symbols star snow and the mountain goat. Granada and Almeria share the territory of Sierra Nevada National Park, although most falls in the Granada province. In addition to internarte for its countless routes such as the Vereda de la Estrella, take the opportunity to meet people of the Sierra as Trévelez, Bubión, Pampaneira and Capileira. The proximity to the city of Granada allows you to stay in a city hotel (Casa Federico, Mansion House, Hotel Villa Oniria and Gar-Anat)or, if you prefer, in rural accommodation (Cortijo del Marqués and Finca Juan Valiente, this last one at the gates of the Natural Park), or even on the Tropical Coast (Casa de los Bates). All from one hour to the park.